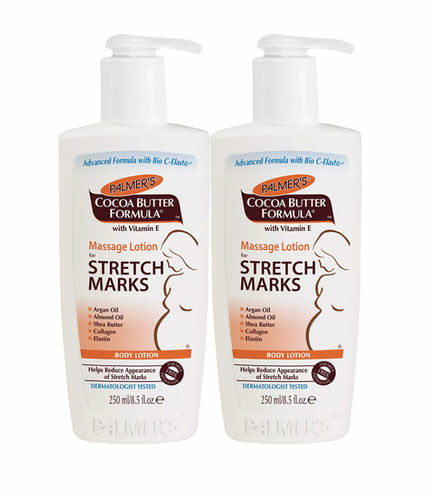 Palmer's Cocoa Butter Formula it is the secret of cocoa butter is that it melts at just below body temperature. It absorbs deeply and evenly to leave your skin soft and silky smooth. Ideal for deep moisturisation and overnight use, this emollient base is especially effective for drier, rougher areas of the body such as elbows, knees and cracked heals. Skin sensitivity heightens during pregnancy. We advise testing this and all skin care products on a small area, such as the inner forearm, 48 hours before first use. Do not use if signs of irritation or rash appear. After using the product, if irritation or rash appears, discontinue use. If irritation or rash persist, consult a doctor.